We connect activated residents who are eager for change with the policy makers and tools to see it through. We create digital content to break down the barriers of public involvement and bring the issues to the people in a way they understand it in the 21st century. We offer grants to grassroots organizations within Northeast to create programs that positively benefit the Northeast area. 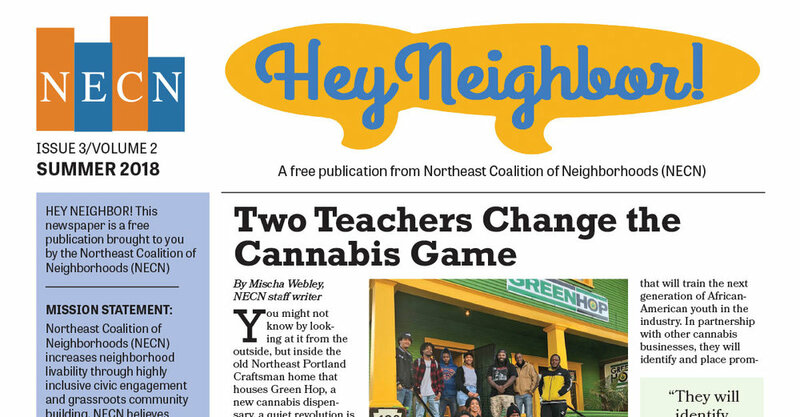 Our quarterly newspaper, Hey Neighbor, is sent directly to about 22,000 homes in our district. We create and curate content from and about our area, for anyone in Portland to read. We provide support and resources to environmental organizations and activated neighbors to fight against pollution and push for sustainable change.